Why can't I stop watching this? This is simply hilarious. It is super random, edgy and incredibly funny . Would like to see a bit more character depth; Can't wait to see the 2nd season. I hope it can get a bit more support and hopefully it can make episodes a little longer. I have finished my review. I would never have expected half the jokes they used in this anime, so every episode i was surprised and found myself laughing. 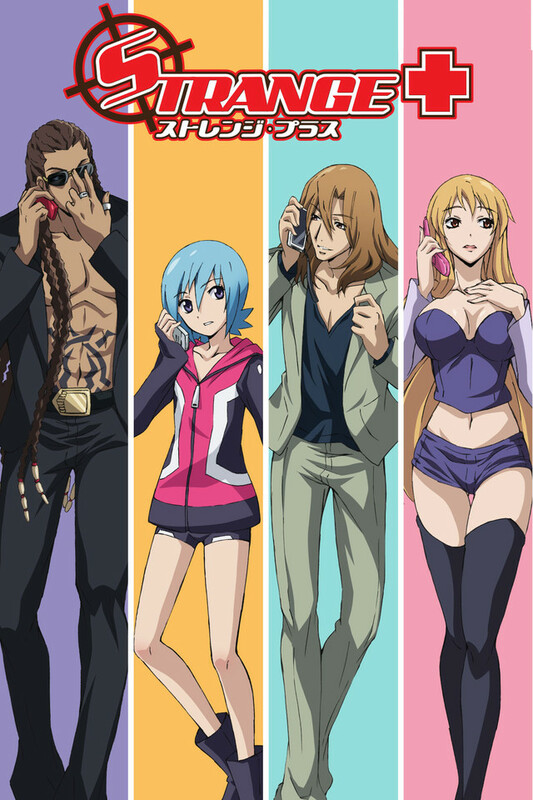 So this was a great anime to watch after a long day at work, it is a very funny anime. The characters all have their style of jokes to make the viewer laugh but the creators of this did a great job in getting everyone to make you laugh. I hope one day this gets a continuation as im sure they have plenty more ideas to share with the world ^^. This anime will get from me a 7/10, a better then average comedy which was sadly too short and deserves another season. This was surprisingly hilarious. I went in expecting something completely different and found a series that was really funny and amusing. The episodes are short and direct, but there's plenty of humour packed into each of them. The characters are interesting, although of course the short running time makes it difficult to develop them too terribly much; nonetheless, they have personality and are each unique, which is quite an accomplishment with such a series. There's plenty of fanservice, but it's of all kinds. If you're an insecure middle-schooler, you probably shouldn't be watching this in the first place. But if you're an adult who can enjoy equal opportunity fanservice, you'll be entertained for sure. Fortunately the series is a lot more than fanservice, it's actually pretty clever and interesting, the acting is good, and the animation looks very good too. The characters are interesting, the situations are engaging, and the music is good. I can't find anything to complain about, so I'll just say that Strange+ accomplishes what it sets out to do, and that is a rarity these days. It pushes the envelope in the stifling environment of modern-day censor-happy Japanese animation, which is unquestionably a good thing. This show IS strange: for a straight person that doesn't tolerate flaming flamboyancy . It COULD have been a good show if it wasn't for that element - my 2 cents. This show was funny, but not funny enough. It was also quirky and, yes, "strange"; but it was almost too "strange." Finally, it's run time was too short for you to get into the characters, so I have to go with just two stars. It wasn't as much fun as it could have been.